Will Arnett wears Randolph Engineering RE Aviator sunglasses in Teenage Mutant Ninja Turtles. 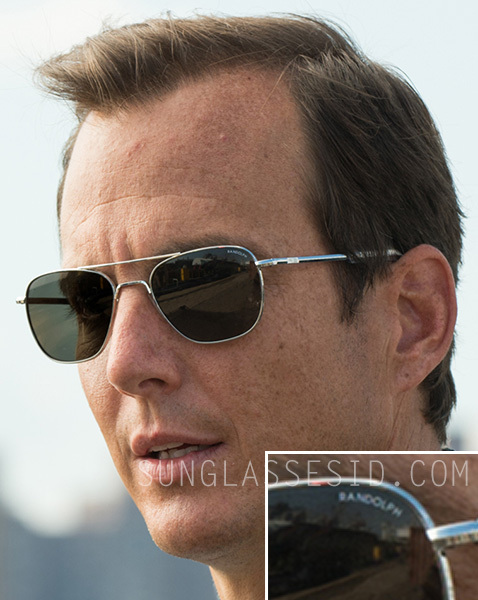 Will Arnett wears a pair of Randolph Engineering RE Aviator sunglasses in the 2014 movie Teenage Mutant Ninja Turtles. Arnett wears the Aviator model with bright chrome frame. This model sunglasses can be recognized by their bayonet temples, that are designed to fit comfortably under headgear. Tthe glasses can be identified as Randolph glasses, because of the Randolph logo on the left lens.